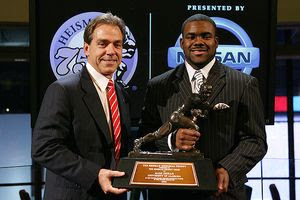 Mark Ingram became the Univeristy of Alabama's first Heisman Trophy winner ever. Ingram edged out Stanford's Toby Gerhart by 28 points. This was the Heisman's tightest race ever in the 75 year history of the award. Of the six voting regions, Ingram won four, with Gerhart winning the West and Suh of Nebraska taking the Southwest.